My first reader is a poet, playwright, fiction writer, editor, teacher, and friend. His latest collection of poems is called Seasons In Love. We met online after he left a comment on a guest blog post of mine for Writer’s Digest. I sent a note to thank him four years ago. We’ve been working together ever since. He reads my early drafts, and I read his. We push and prod and nudge each other to write better sentences. If you’re curious to learn more about my writing partner, follow me over to Cynthia Newberry Martin’s blog, Catching Days, to read about a day in the life of Dave Malone. 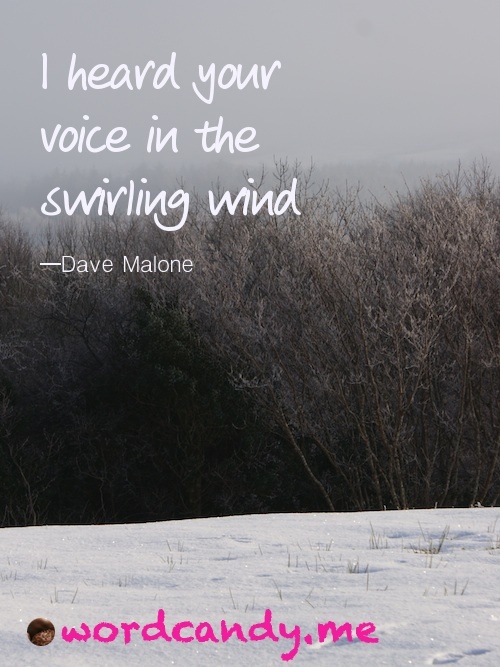 To make Word Candy (pictured above) with quotes from Dave’s poems, he has a catagory of his own called “Malone’s Mad Love.” Or go here to send someone a ready-made card. 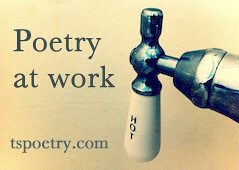 This entry was posted in Guest Posts for Word Candy and tagged literature, Poetry, writing. Bookmark the permalink. Thank you, dear Darrelyn. For everything. Even those nudges. You and Jane nudged me four years ago to get on Twitter. And it worked. 🙂 Thank you for helping me become a better writer and person. I can only hope I do as much for you. It is great to have friends like him. Even better when you acknowldege it to others when a friend has been helpful in your life. It reminds us to be thankful for the friends in our life,too. Thanks for sharing. You make it a pleausre, Carolyn. I’m so thankful for friends like you. I can’t tell you how many times you’ve kept me going these past few years. Nice companion piece. Happy to discover Malone’s Mad Love. And thanks for the link to Catching Days. You’re welcome, C. Catching Days is one of my favorite places to visit, so I enjoy sharing your wonderful site with my friends. I found you via Richard Gilbert’s blog, Narrative. What a joy that you and Dave have this productive symbiosis. I’m hoping for some serendipity along those lines! I’m happy to have followed your link to Catching Days, too. Looks like another wonderful blog. Hello, Beth. I remember seeing your comment on Richard’s blog today. I just came over here to tweak my post for this Wednesday and saw your comment. “Serendipity” is the word. And it’s the best part about social media. To be able to connect with writers around the world is something I never imagined when I started out. You’re going to love Catching Days. It may be where I first found Richard. Crazy, isn’t it? Btw, I just followed your lovely blog.